Imagine driving home from work or school, when suddenly your steering wheel loses all function. 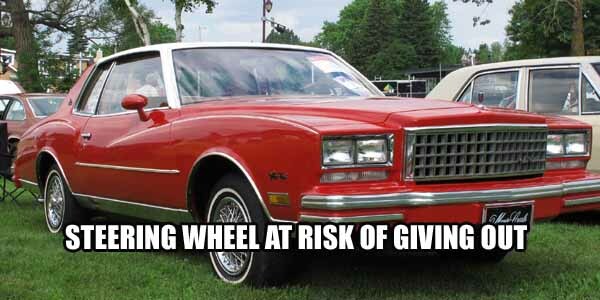 That is exactly the reason GM recalled a lot of El Caminos, Malibus, Monte Carlos, Centuries, Regals, Pontiac Grand Prix and some other models in 1981. According the automaker, suspension bolts on the wheel were at risk of getting lose, which would render the driver unable to steer. Thankfully, a replacement of suspension bolts was all that was needed to fix the problem.